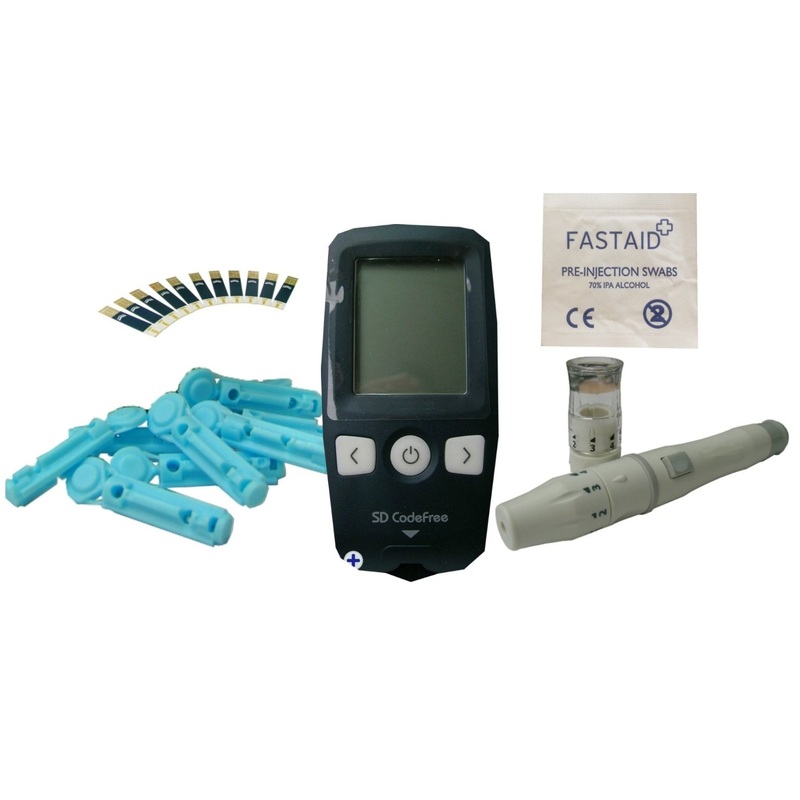 The monitors offered below are a very cost effective way of monitoring either your blood glucose levels, ketone or cholesterol levels. The meters require only a small drop of blood to carry out any of the 3 tests mentioned earlier. Replacement strips start from £6.99 (as a registered diabetic) delivered to your door and the SD Codefree replacement strips are available on prescription. Speak to your GP! 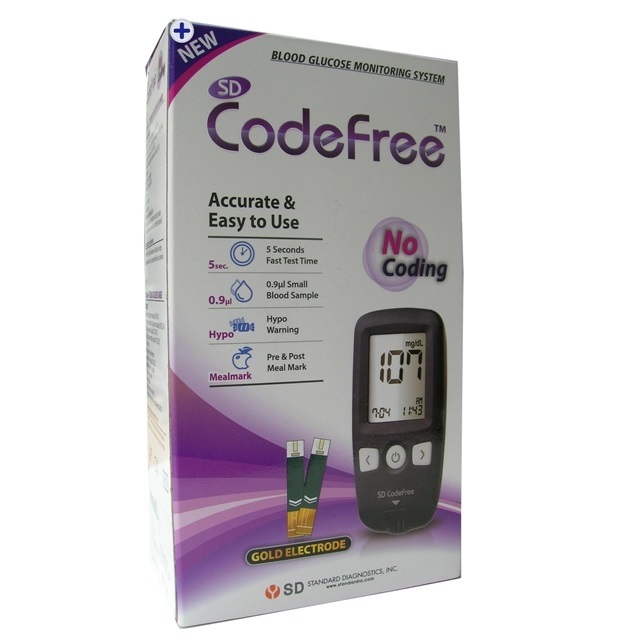 Blood Glucose Monitor SD Codefree Meter Diabetic Monitoring Device.